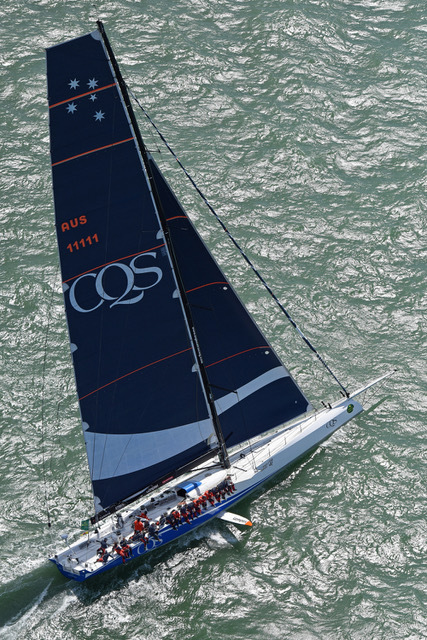 Ludde Ingvall’s super maxi CQS is to cross the Atlantic Ocean, instead of returning to Sydney for this year’s Rolex Sydney to Hobart Race. A change to shipping schedule meant that the boat could not get back to Australia in time to prepare properly for the race to Hobart. Ludde and his sponsor Sir Michael Hintze took the difficult decision not to contest the Rolex Sydney to Hobart, and instead enter the Royal Ocean Racing Club’s Trans-Atlantic race from Lanzarote, in the Canary Islands to Grenada’s Port Louis. CQS and her crew will do Malta’s Rolex Middle Seas Race, the last event on their European tour, then head to Lanzarote for the dash across the Atlantic, which starts 25 th November. The schedule of events to be undertaken in the Caribbean has not yet been decided, but the CQS team are in contact with a number of regatta organisers with a view to doing those that can accommodate the boat and bring most benefit to the islands.